LG is set to unveil its first ‘human-centric’ wearable robot at the IFA conference in Berlin next week. 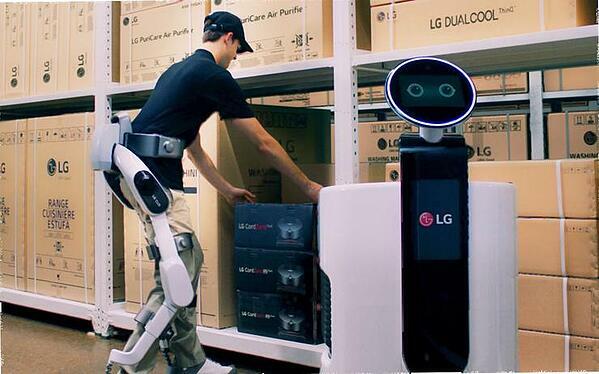 LG's robotic exoskeleton in action. Credit: LG. Kingstar released a video showcasing how Windows IPC, integrated motion control, machine vision software, and a UR5 cobot from Universal Robots can perform CNC and cut a brick. Wireless networking, new control features, and collaborative applications were among the highlights at NPE2018, Plastics Technology reported. 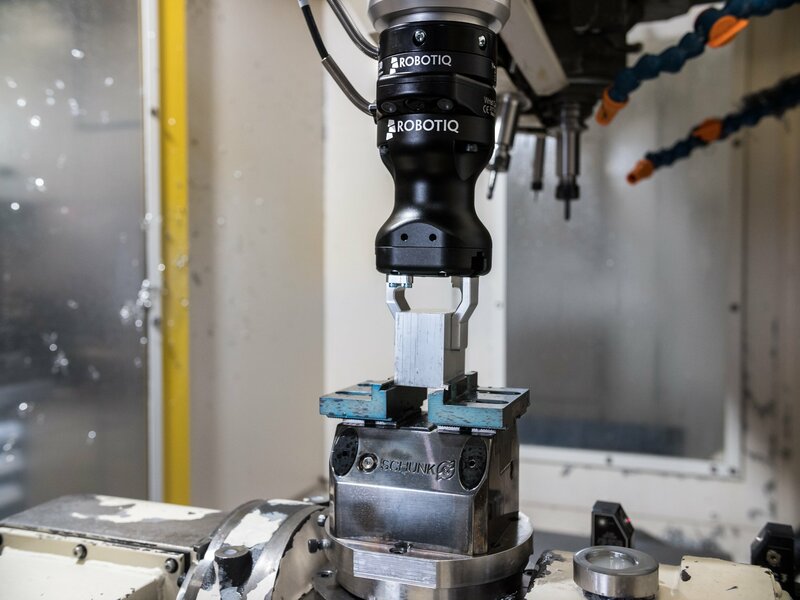 At the event, South Korean firm Yudo showed off its new 6/7-axis cobot. The cobot can be fitted on a pedestal or track and can carry out machine tending (with part removal) and QC checks. Samsung is thought to be using this cobot in the production of washing-machine components. 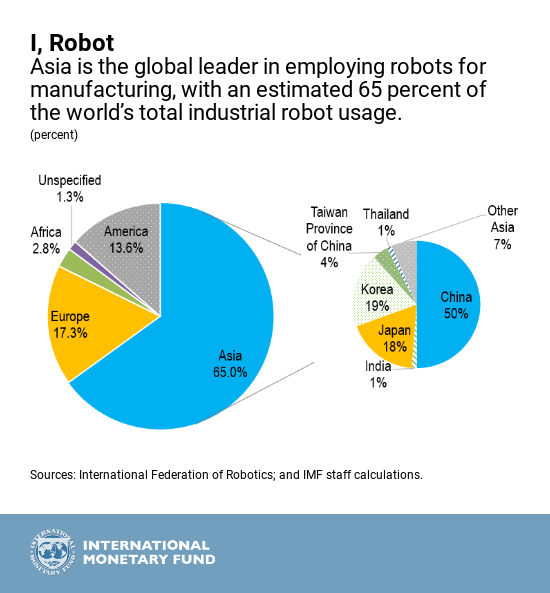 For Asia to "fully reap" the opportunity presented by automation and remain "the world’s main engine of growth" in the process, countries must "revamp their education systems and invest in innovation to support a workforce for humans and robots alike," according to the International Monetary Fund. Fitz-Thors Engineering, Inc. released video showing how they set up a UR10 cobot to label and verify 50 gallon drums. The municipality has also set its eyes on making progress in industrial robot development, including automatic welding and grinding systems for flexible high-speed railways, flying robots and underwater gliders. In 2017, Tianjin recorded an annual growth rate of 40 percent in its robot industry output, reaching 5.7 billion yuan ($837.5 million). In fact, the number of robot companies in the area is already near 400, with a total output of 45 billion yuan. Finally, dual-arm cobot YuMi helped ABB celebrate 25 years in Vietnam with a special dance performance. 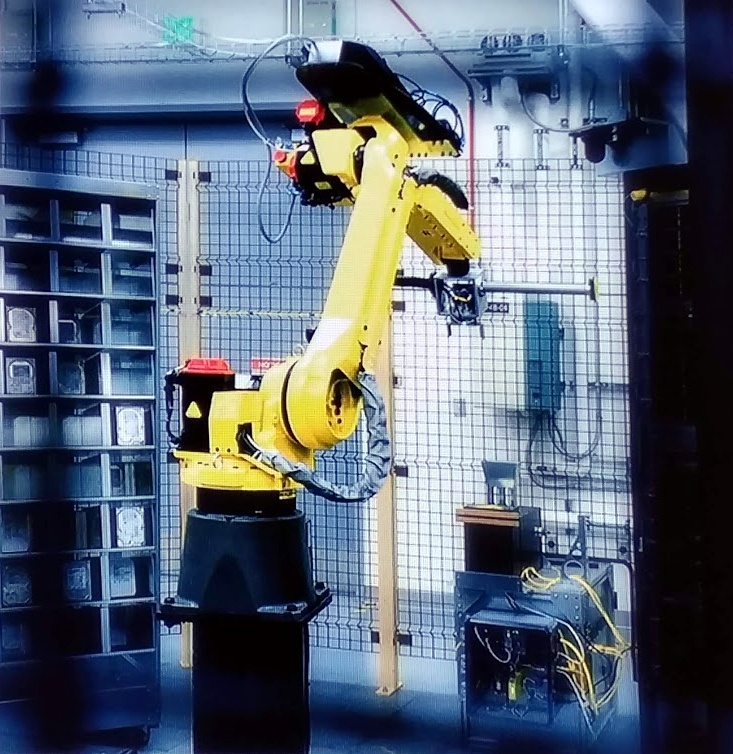 Robot destroying hard drives in a Google data center. Credit: Data Center Knowledge. As part of the trial, about 500 people are being studied as they walk across fabricated street scenes. 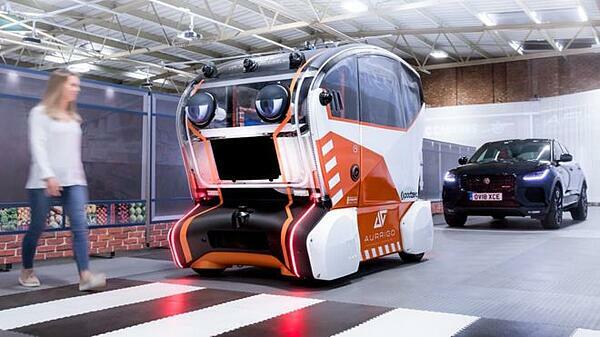 [The pods] have been modified to feature a large pair of animated eyes. When the car sees a person crossing the road, it slows down to a halt and makes direct eye contact. Researchers at the Polytechnic Institute in Massachusetts have created a robot that could help protect coral reefs by autonomously hunting for and harvesting lionfish, reports Popular Mechanics. The bot is fitted with eight orange spear tips. 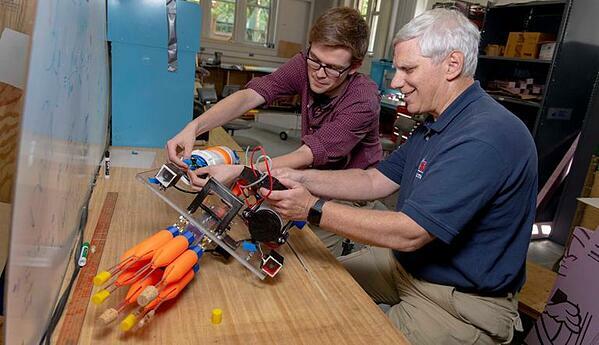 Credit: Polytechnic Institute Massachusetts. A medical nanorobot developed by researchers at the University of Texas, San Antonio made it into the Guinness Book of Records (Science Daily). Robot butlers hit Miami (PhysOrg). Sushi bots arrive in Chicago (Chicago Magazine). Ready to work as a 'Robot Life Coach'? (Mirror). DeChambeau practiced Ping-Pong with robot (Golf Channel). 1. CNBC went behind the scenes at one of Alibaba's new bricks-and-mortar stores, making sure to check out some automation along the way. 2. Chinese electrical-appliance-maker Gree showcased some of its robots playing musical instruments. 3. The Additive Manufacturing Team at US Marine Corps Systems Command teamed up with colleagues from I Marine Expeditionary Force to operate the world’s largest concrete 3D printer earlier in August, and the video just dropped. The printer was constructed a 500-square-foot barracks hut in just 40 hours. 4. 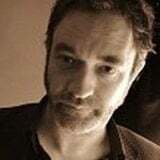 Robotics Business Review spoke with Highres Biosolutions CEO Peter Harris about how the company helps biopharmaceutical companies with laboratory automation integration. 5. Meet Rashmi, a bot developed by software engineer Ranjit Srivastava as a rival to humanoid Sophia. Rashmi is claimed to be the world's first Hindi-speaking robot.